There's nothing better than transforming a space into something new and magical with a like minded creative. 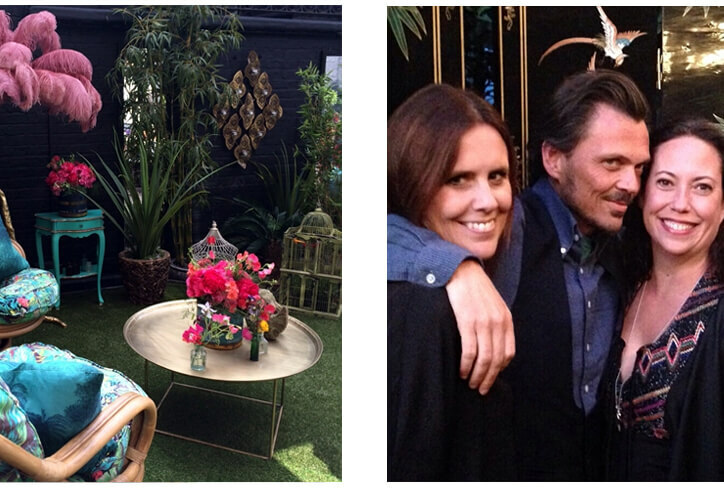 We had an amazing time with Matthew Williamson last year working on the Hendricks Horticultural Oasis at Blakes hotel creating a botanical paradise for their courtyard and cocktail bar. We sourced some beautiful furniture for the project, including an amazing Vintage Bamboo Rocker Chair, which Matthew upholstered using his fabulous brightly coloured fabric designs. 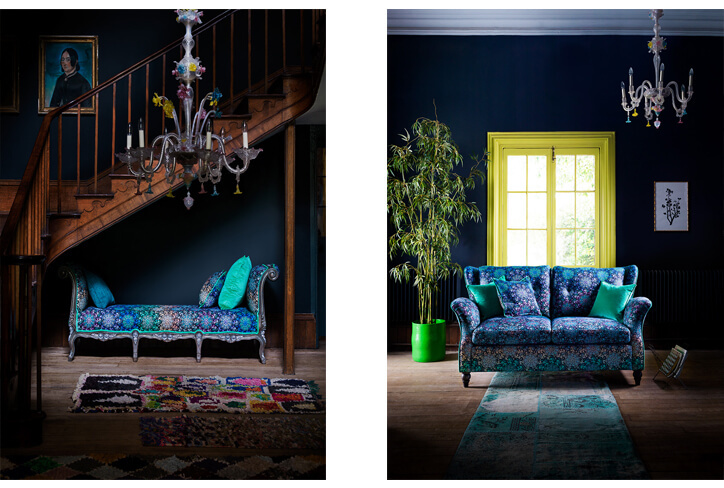 This year, we are excited to reveal that you too can turn your home into a whimsical world of Bohemia thanks to Matthew's upcoming bespoke furniture collection with sofa manufacturers Duresta: 'Duresta for Matthew Williamson'. This new collection embodies this same fantastical aesthetic that we loved creating with him at Blakes. We're always on the lookout for unusual items to slot in with our own, and these quirky pieces will look amazing as part of an eclectic Rand creative home! 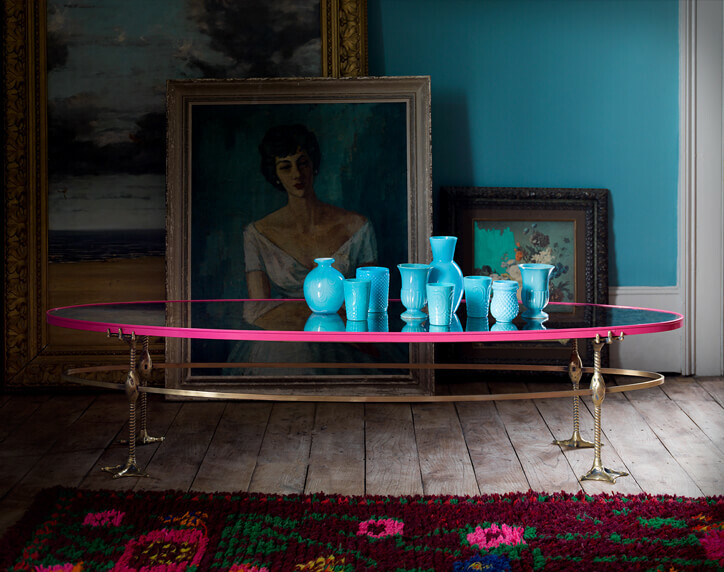 Matthew has said that his design philosophy is "to make women feel like peacocks", and now our homes can feel just as extravagant and fabulous with peacock and flamingo inspired colourways on our furniture. A series of occasional tables mounted on whimsical flamingo legs are available from the range, as well as a chaise longue, armchairs and several sofa designs in a choice of fabrics. It's all deliciously decadent. 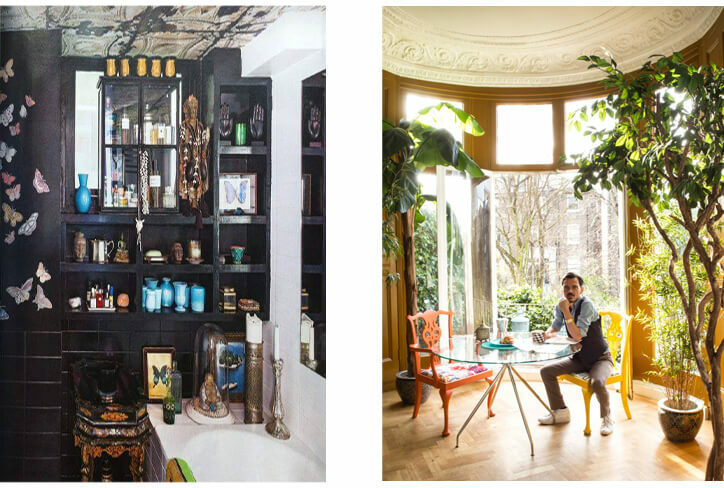 Speaking of eclectic homes, LivingEtc featured Matthew's in their April issue, inviting us into the "living and growing moodboard" that is his intensely beautiful and flamboyant London home. There are few words other than 'WOW' that come to mind when exploring the nooks of each room, with every corner offering something new and surprising. Our most loved space is the Buddha-filled bathroom with textured teal pots, butterfly prints and our tin tile wallpaper ceiling - it's a Rockett St George dream! We always admire a tongue in cheek approach to decor, and were thrilled to source the vintage dining chairs for his beautiful home. The citrus colours have totally revamped their style. There's no need to take your interior too seriously. Have fun with it! An element of fun is exactly what he is bringing to the table with Duresta: home additions to make you smile. We have already fallen in love with Matthew's lively and colourful fabric prints, and after enjoying his vibrant wallpaper collab with Osborne and Little, we can't wait to see his signature aesthetic upholstered on a chair. Matthew and Duresta have successfully reinterpreted classic and contemporary furniture styles to best wear his instantly recognisable kaleidoscopic patterned prints. There will be 40 exclusive fabrics including new and reimagined designs brought together especially for the Duresta collection. We are looking forward to stocking some of the pieces at Rockett St George in Autumn! 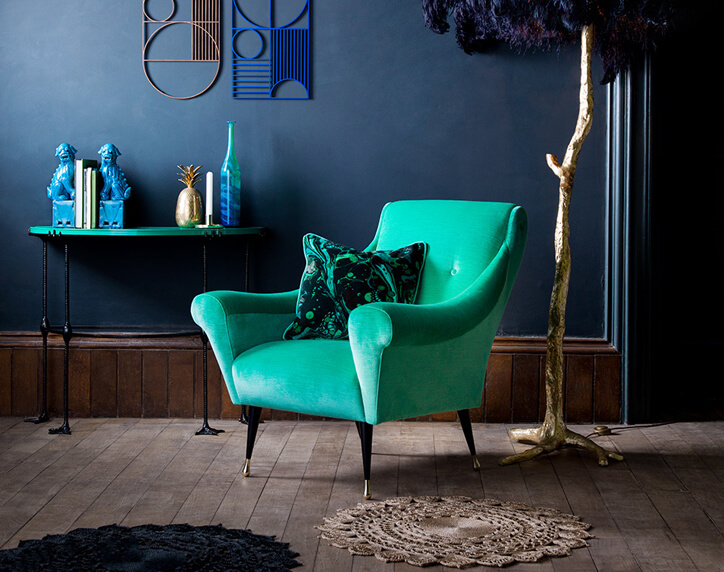 Our favourite so far has got to be the statement sofa and chair combo 'The Tango'. 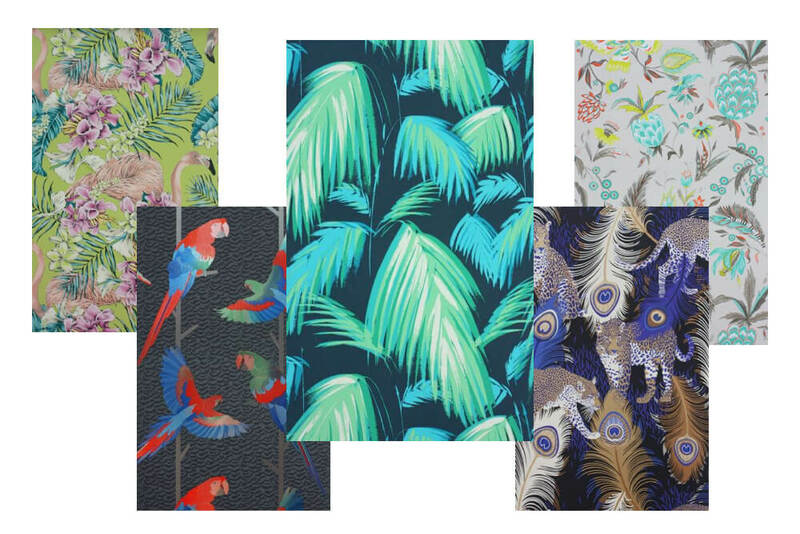 Whilst we await the arrival of these astounding designs, you can admire the gorgeous collection of Matthew Williamson and Osborne and Little wallpapers available at RSG! 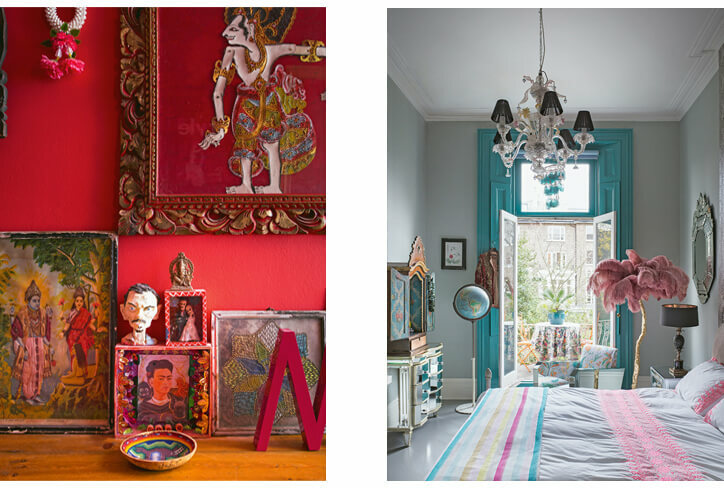 LivingEtc photography by Paul Raeside. Duresta for Matthew Williamson images courtesy of Duresta.